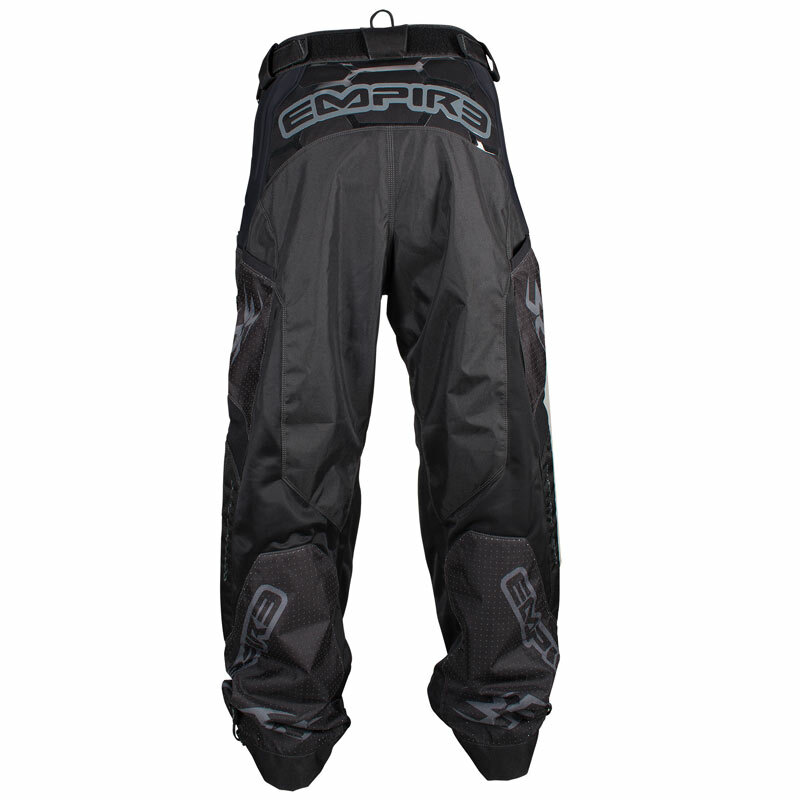 We polled our top teams and heard one resounding request in a paintball pant – “less weight, more venting, same durability and great protection.” The 2016 Empire F6 Contact Zero pants are lighter, less constricting paintball pants designed to help keep you cool, comfortable and unimpeded in the heat and humidity of the season. The main body material is 100% laser perforated for ventilation at the front and rear of the pant that encourages massive air movement and helps wick moisture away. Adjustable ankles and waist allow for a truly custom fit while 1000D nylon padded knees help protect you no matter how hard you slide into that bunker. 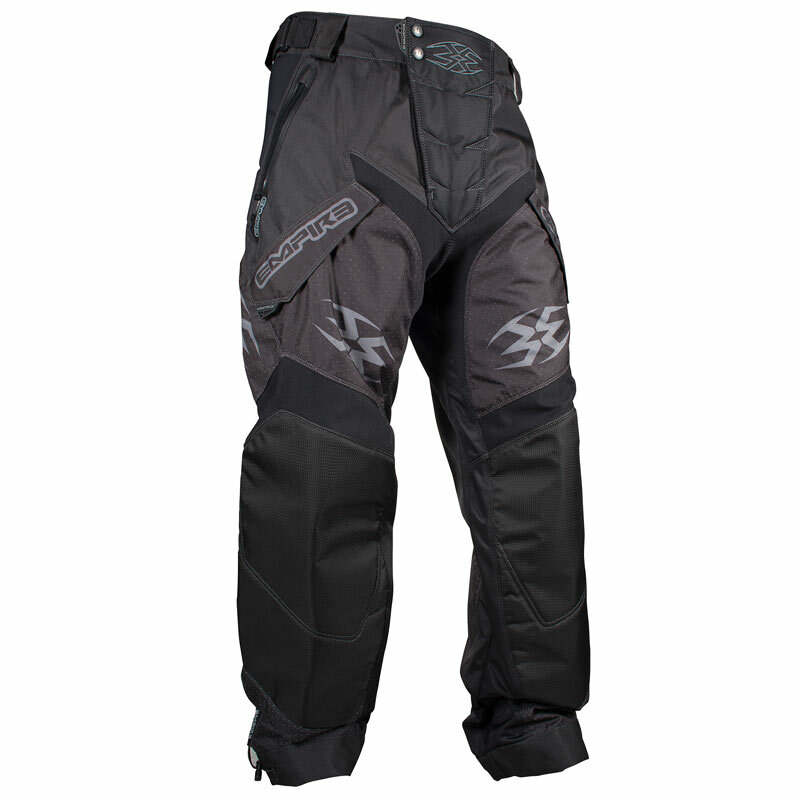 Sometimes lighter weight translates to less durable; this is absolutely not the case for the 2016 Contact Zero F6 pants. These are made from the highest end fabrics & materials using the latest in manufacturing technology to make sure they last. 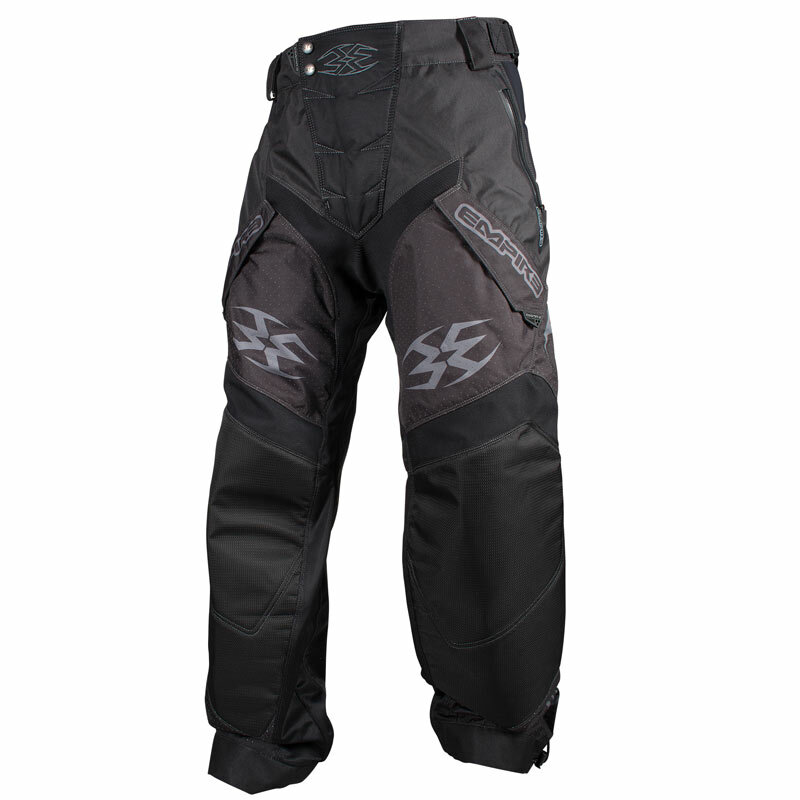 There is no need to look any further; you have found the best pants in paintball. Subdued logos for a more discreet fashion statement. Microfiber cloth on a bungee cord inside a zippered water resistant pocket for cleaning goggle lenses! 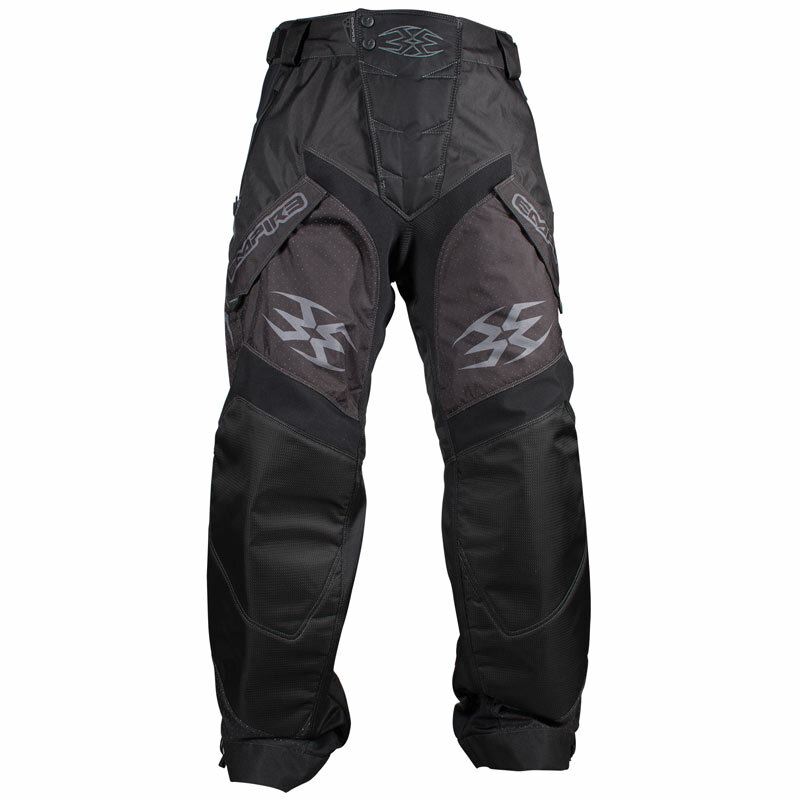 4-way rib stretch panels in the groin & Cordura stretch panels above the knees allow for a full range of motion and eliminate tearing. Advanced bio-foam hip padding protects the waist and hips when sliding out to the corners and self contours for custom fit. Plenty of padding where you need it and “Zero” where you don’t. This includes groin padding: you’re welcome. Silicone printed rear for extra grip with your harness.